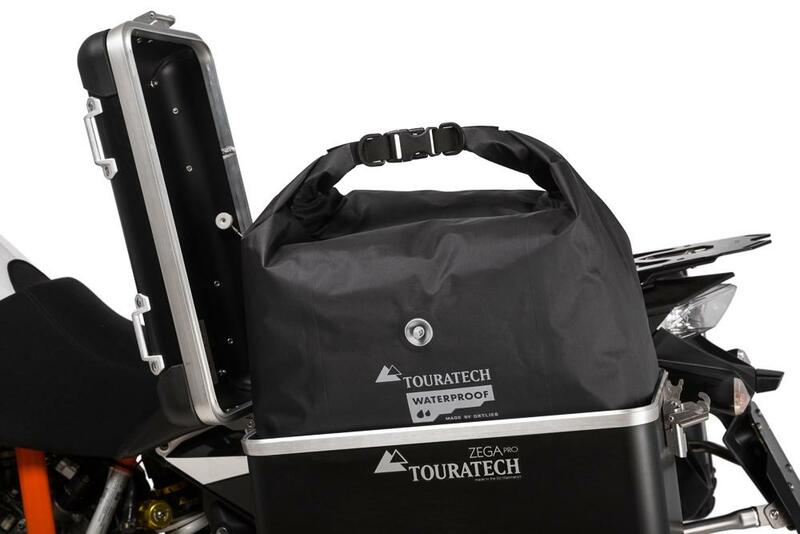 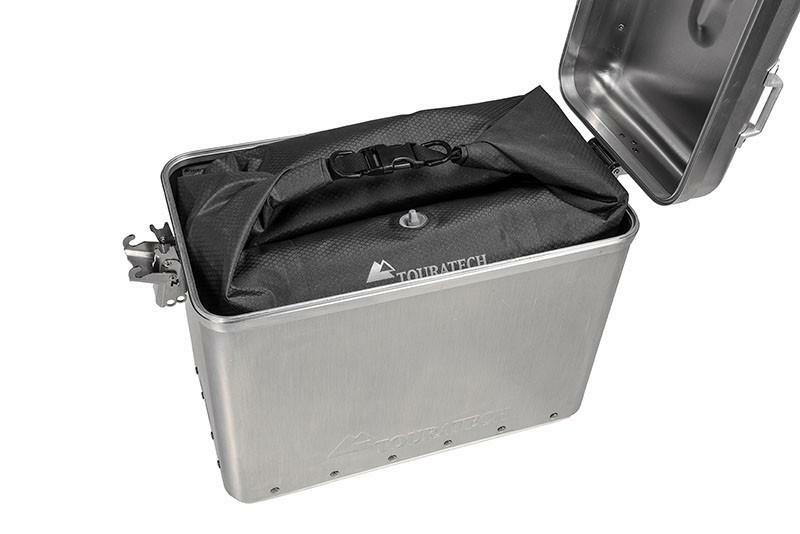 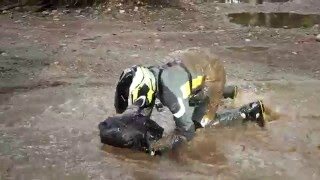 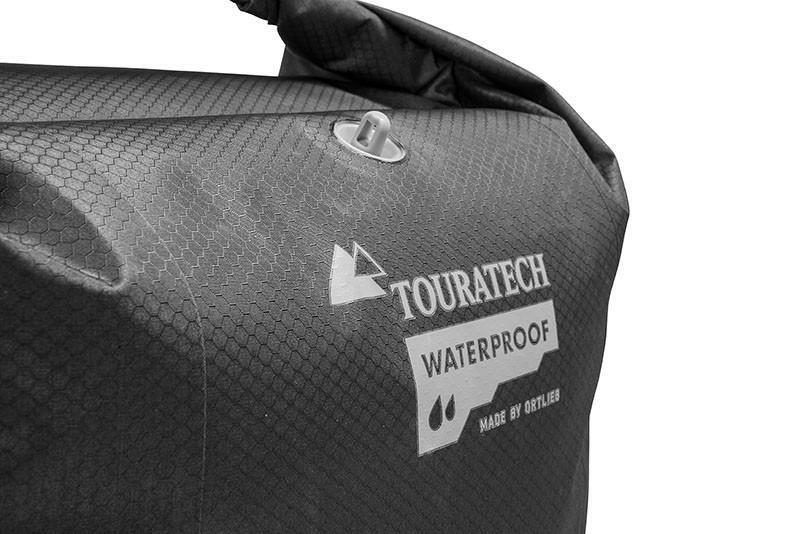 Not all hard luggage is water-proof, but the pannier liner bag from Touratech Waterproof will keep your gear dry no matter what boxes you you are running. 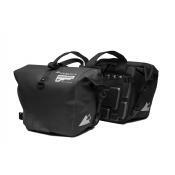 Made from abrasion-resistant polyurethane with welded seams and a roll-down waterproof closure with snap buckles, this bag will protect your gear. 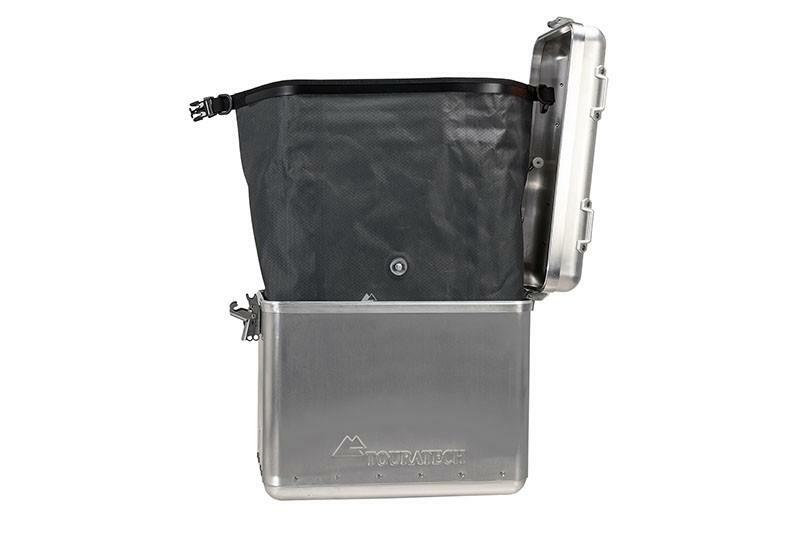 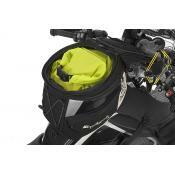 Equipped with a release valve, this bag allows you to squeeze out extra air to maximize storage capacity. 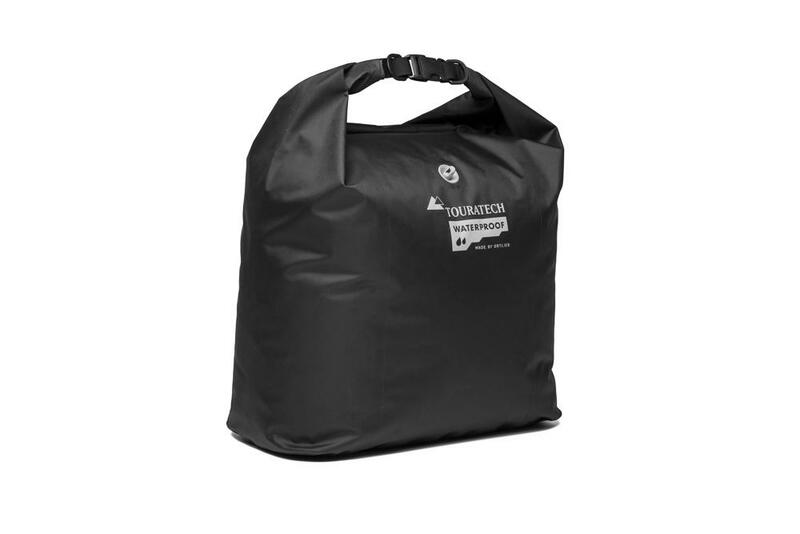 When it’s time to park the bike for the day you can lift the liner bag out by grasping the loop which serves as a handle to tote the bag into your home, tent or hotel. 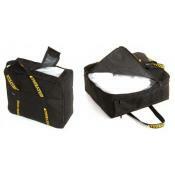 The bag opens up completely from the top for easy loading. 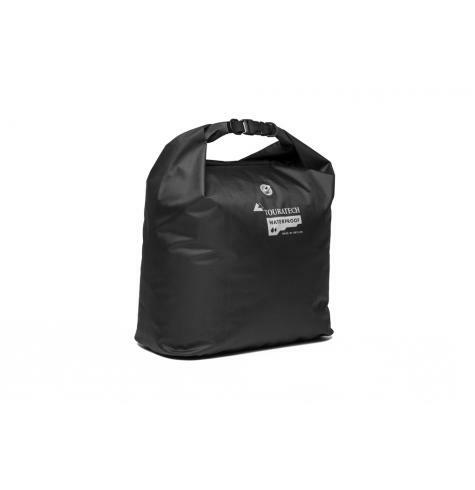 The flexible material and roll-top design allow this liner bag to fit many different sizes, shapes, and brands of hard panniers.